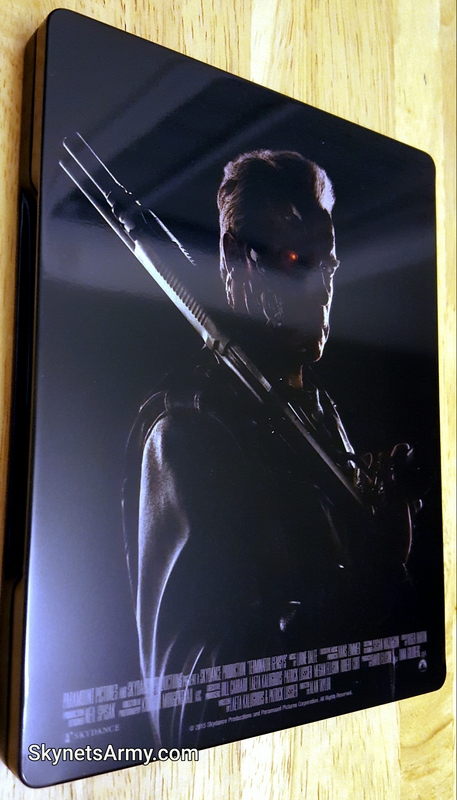 First we’ll take a look at the front of the slip case, which is a lenticular motion image of actor Arnold Schwarzenegger as the Guardian Terminator. Ah, battle damage to the cybernetic organism appears! And it worsens the more you change the perspective! Let’s keep tilting the cover. 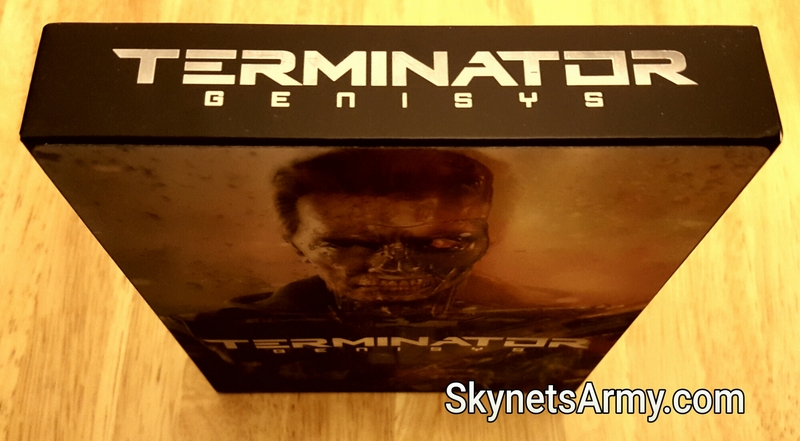 The T-800 Model 101 has taken a great deal of damage hasn’t he. 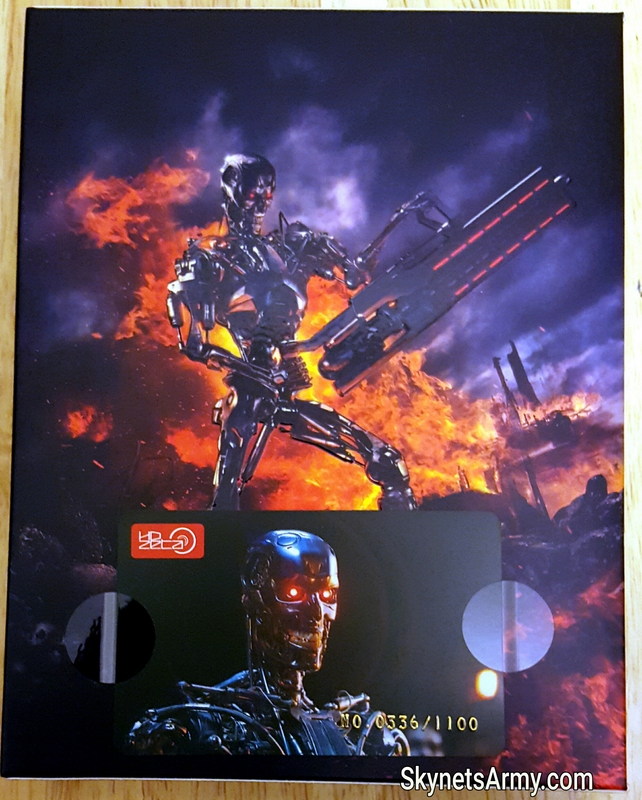 We noticed this lenticular cover is quite bloodier than the American “Best Buy” lenticular cover that we unboxed last year. 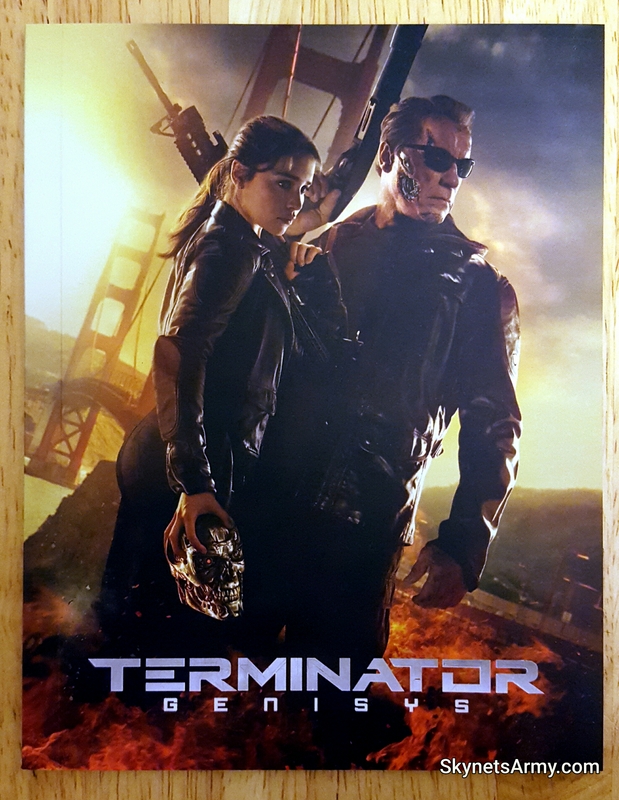 Now that we finished viewing the cover, let’s flip the slipcover over and see what kind of artwork is on the back. 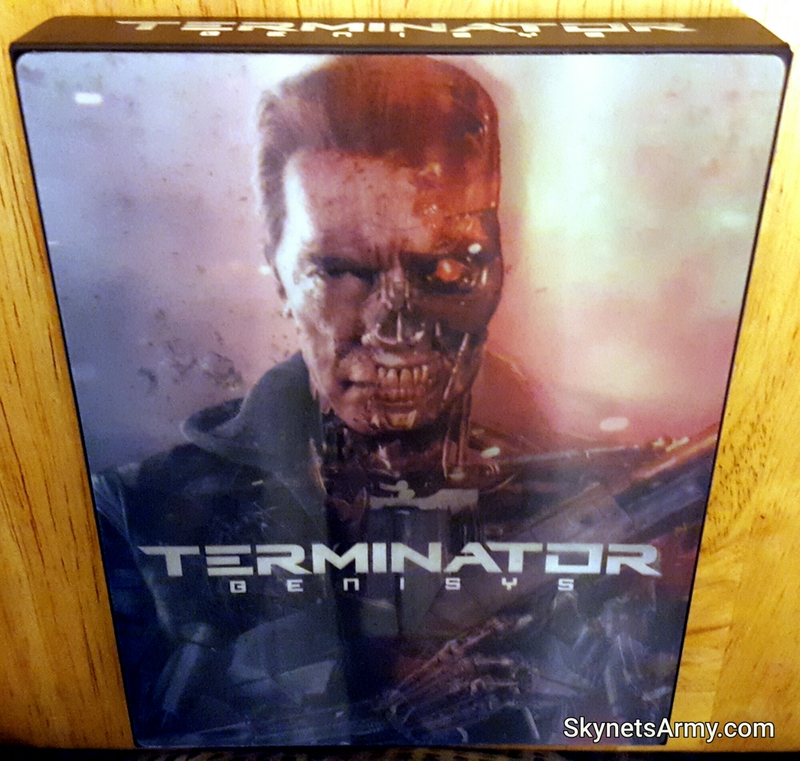 The back of the slipcase features a spectacular image a T-800 Endoskeleton in a future war battle. 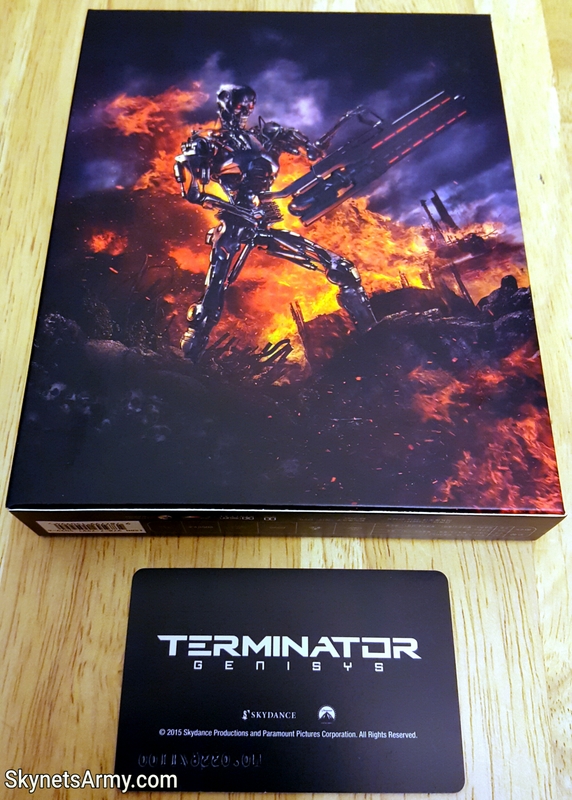 You’ll notice attached to the back (with circular removable stickers) is a card that shows this steelbook set is number 336 of a limited run of 1,100 copies. 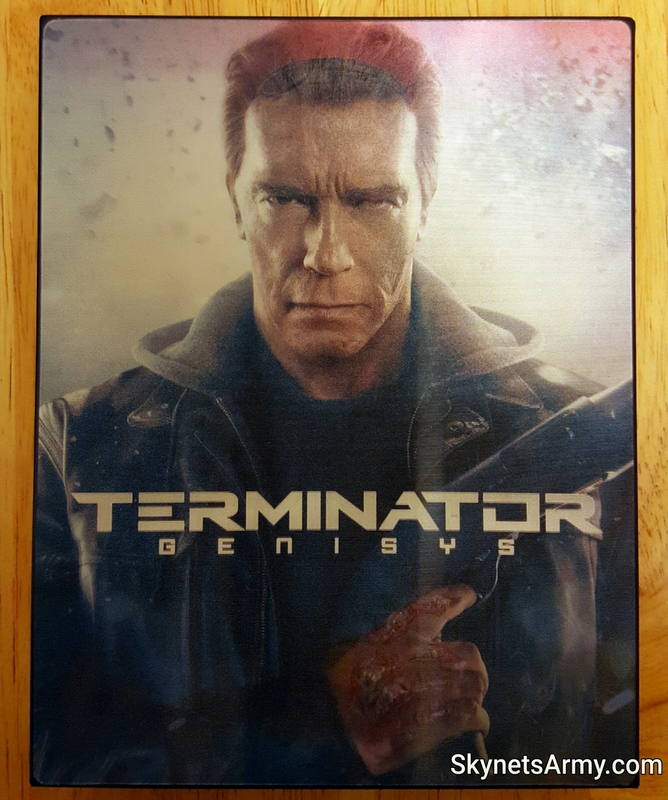 Let’s detach that card and flip it over. …and then see what is inside. 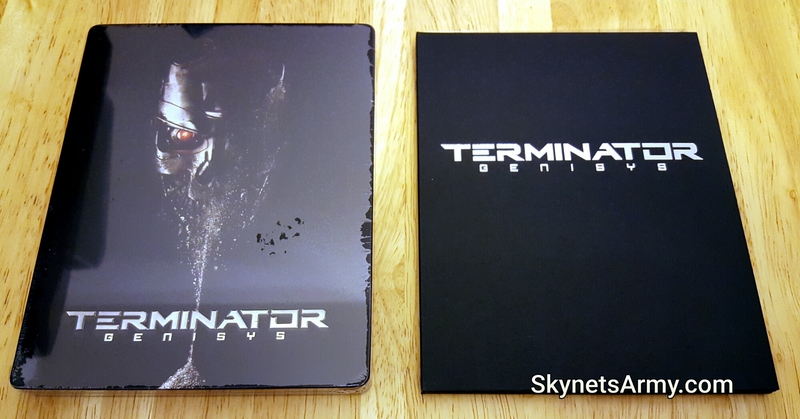 There are two items inside: a steelbook and a black folder. We’ll pull them both out. Here they are! 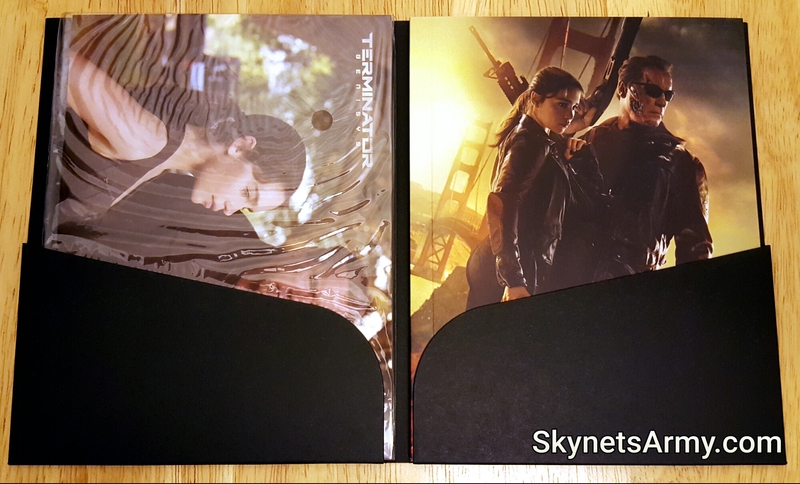 You’ll notice on the left we have the steelbook wrapped in protective shrink wrap and to the right we have a folder. Let’s take a closer look at that folder. 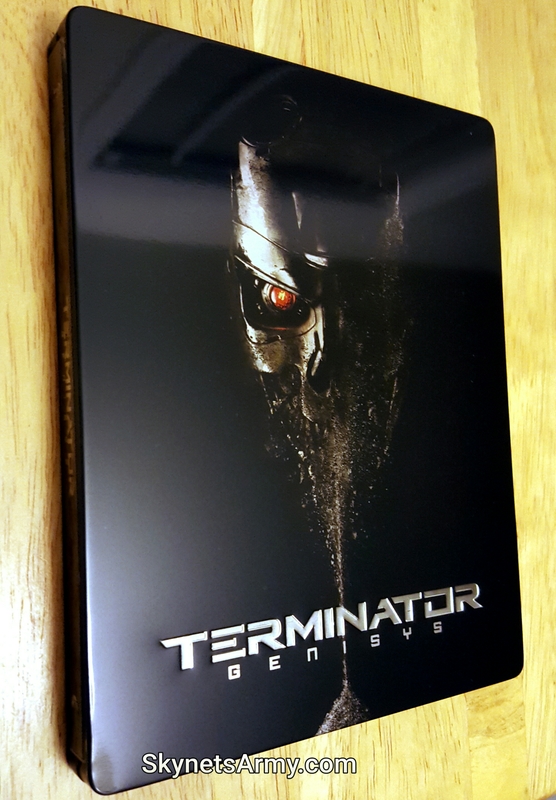 This black folder has a “Terminator Genisys” logo that looks pretty sharp, but otherwise there is nothing else to it. So let’s open it up and see what we find inside. 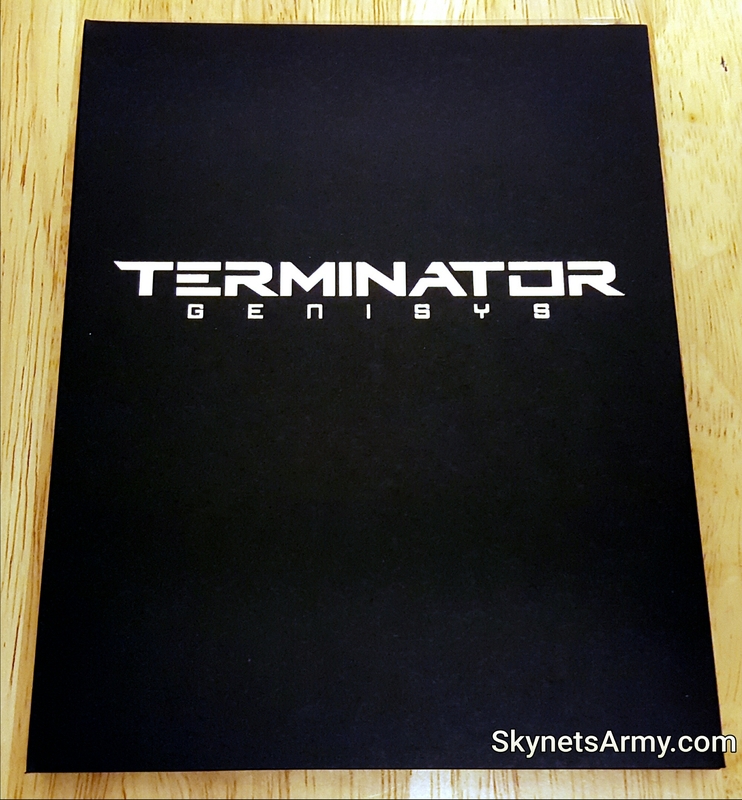 Just like “The Terminator” collector’s set set we unboxed several weeks ago, inside the folder we found a set of postcards and a book. First, we’ll examine those postcards. 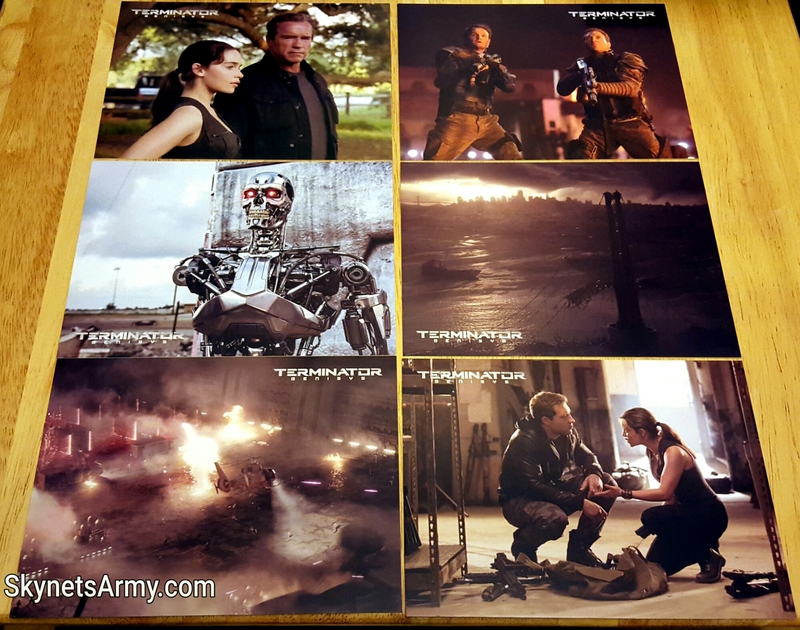 There are six collectible postcards that all feature publicity photographs that were used to promote Terminator Genisys’ theatrical release. We’ll put these back and take out the book, starting with a better view of the cover. 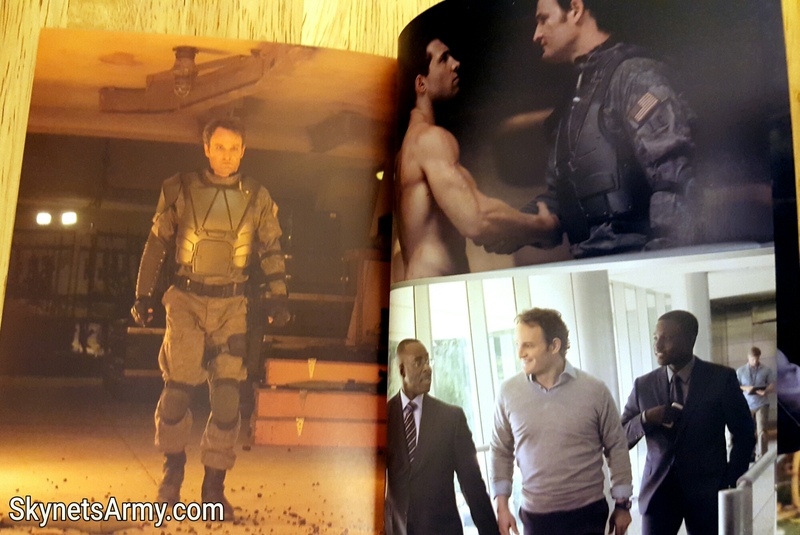 Now let’s flip through some of the pages. 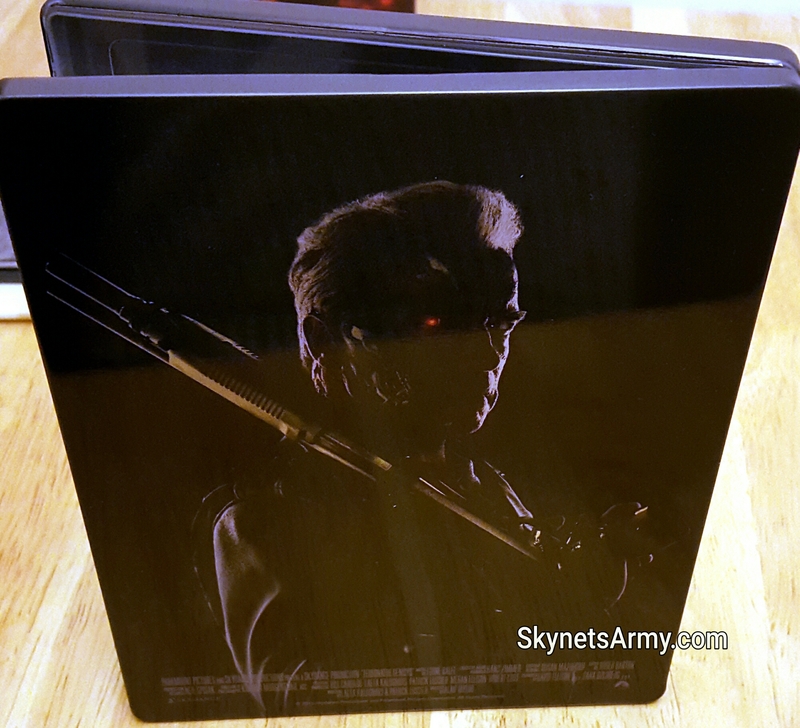 This collector’s book is actually a few pages more than the 24 page book found in “The Terminator” HDzeta set. 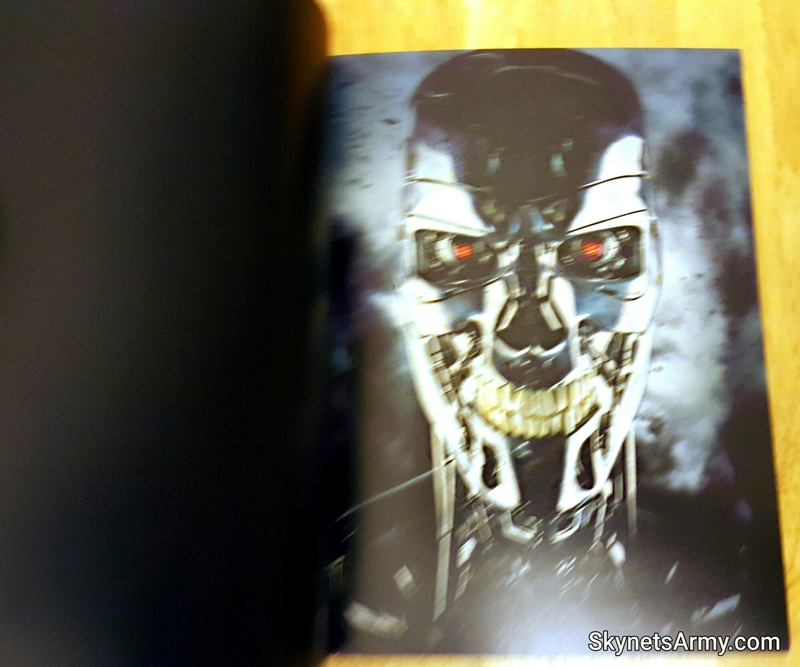 However, while it’s a few pages longer, the “Terminator Genisys” book is a bit is disappointing because it contains only pictures, making it incredibly less informative and interesting than its Terminator counterpart. While still a cool thing to own, looking through it will hold your attention for ever so slightly. 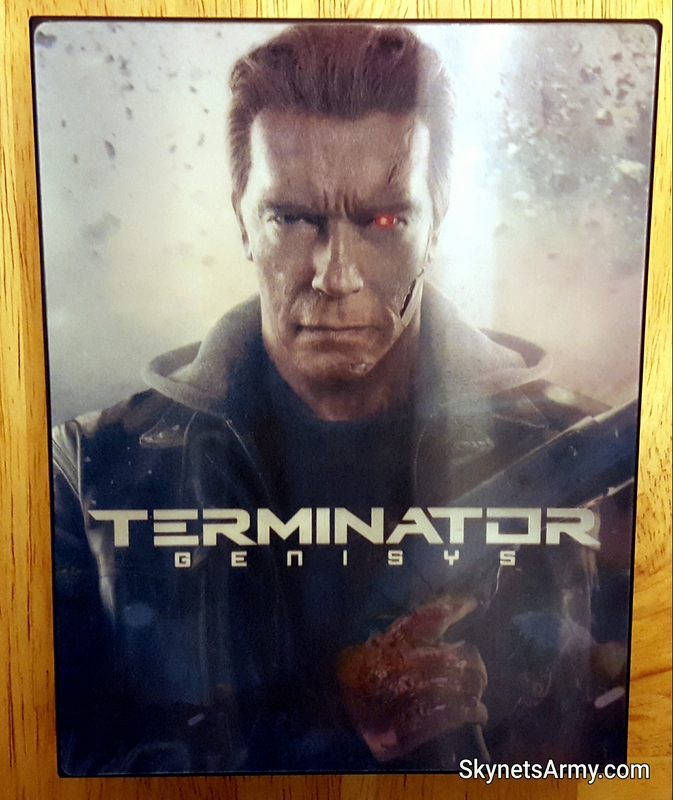 Now that we have thumbed through the book, we’ll set that asside and unwrap the pastic off the steelbook. The look of the black with the disintegrating hourglass effect of endoskull looks very slick. 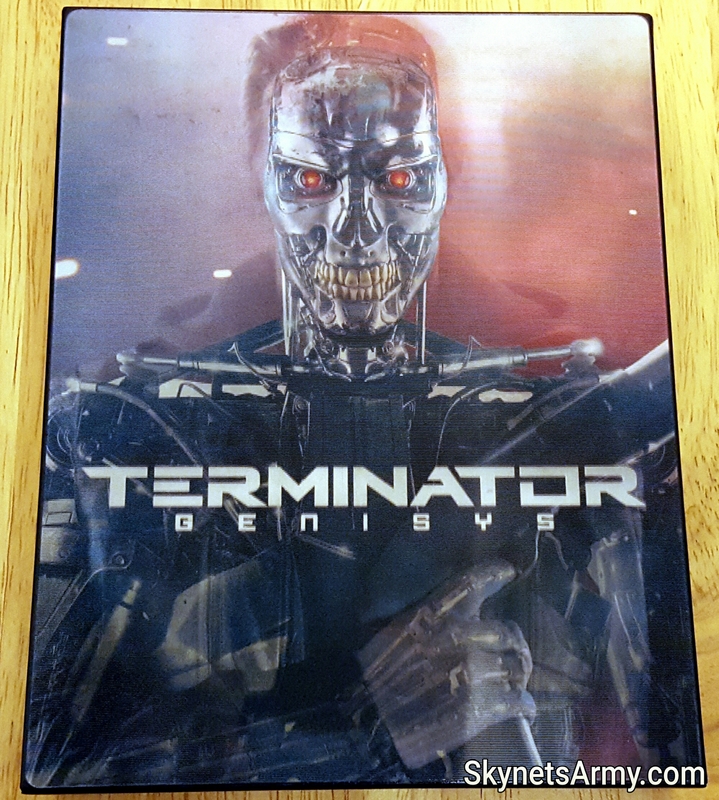 And check out the embossed lettering on that steelbook’s cover! Let’s flip it over. 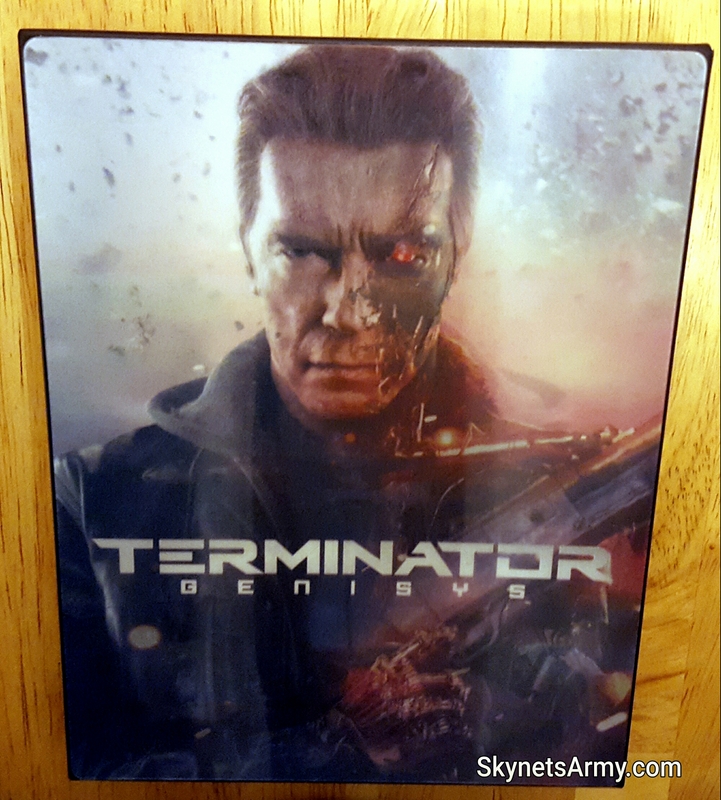 The picture of the battle-damaged Guardian Terminator on the back is equally fantastic. Yes this set is a 3 disc set. 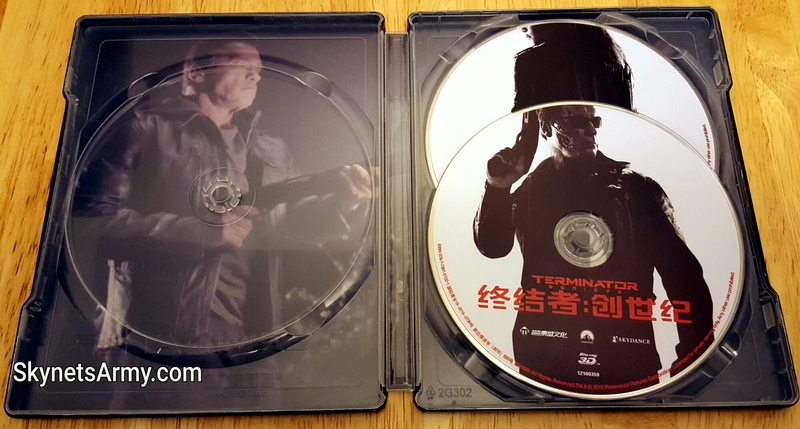 Advertised as “region free” and playable on Blu-ray players around the world, this set contains the much praised additional content disc (the same disc found in the U.S. 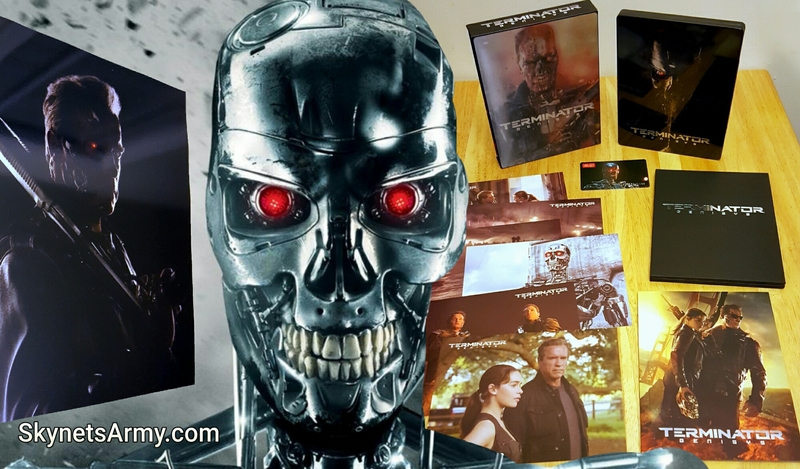 Exclusive “Best Buy” edition) that runs over 90 minutes and gives you a more in-depth look at making the film including costume, set design, score, and Jim Cameron’s thoughts on the film. 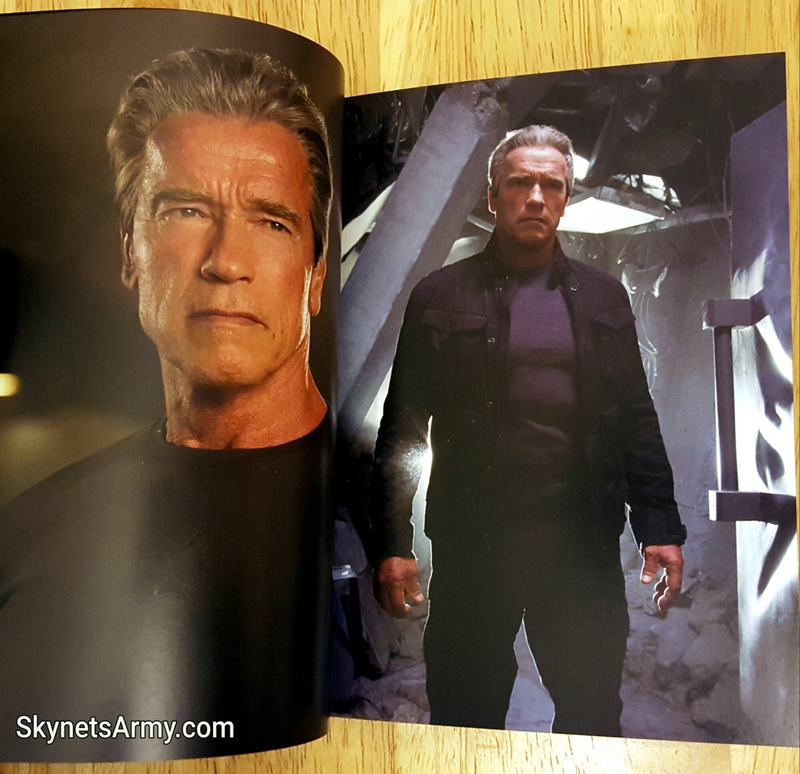 Previous PostJames Cameron and Arnold Schwarzenegger celebrate finishing the 3D conversion of “TERMINATOR 2: JUDGMENT DAY”!Next PostBehind The Scenes with “THE TERMINATOR” Volume One! 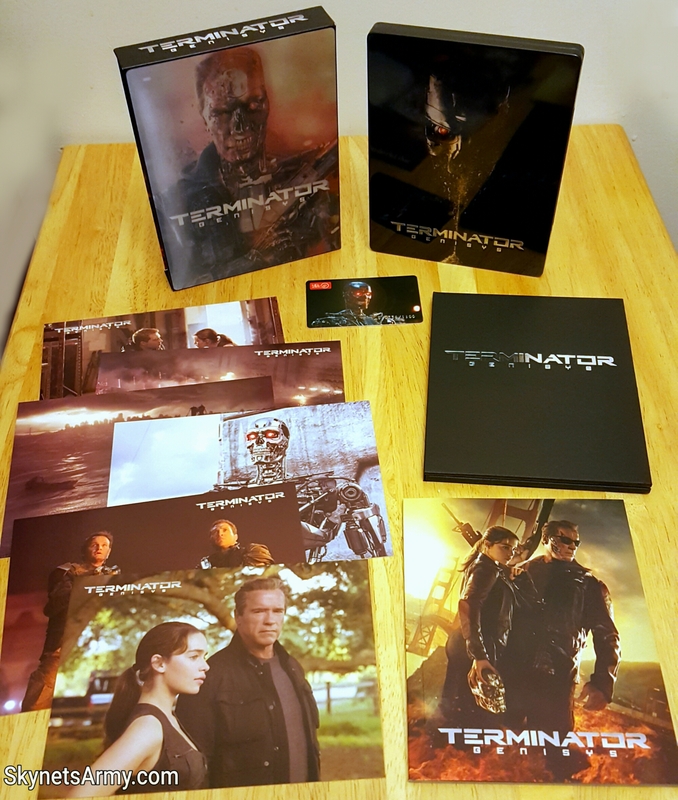 That very nice photo book sets this apart from other steelbooks.